I’ve read/am reading/am trying to read a couple of books that folks are buzzing about lately, and I’m not sure if I like them or not. (SPOILER ALERT: I never want to warn anybody off from reading one of my posts, but if you don’t want to know specifics about either one of these books, tread cautiously.) 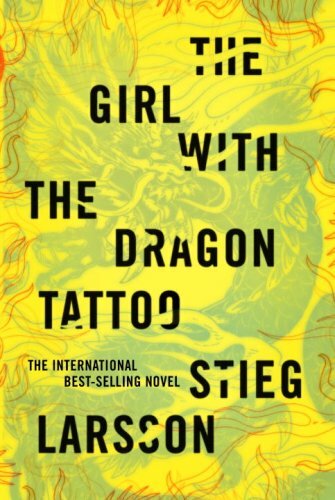 I’d heard talk, of course, about Stieg Larsson’s “Dragon” book that seems to have taken over the world and somehow I thought it was one of those woman-journeys-to-exotic-locale-to-find-her-true-self (sort of an “Eat, Pray, Get Tattooed” experience) but of course that is waaaay off. We’re reading it in one of my book clubs, and I think I like it. I really dig the Agatha Christie-like mystery part and I love all the coffee-drinking and sandwich-eating those wacky Swedish people seem to do. But the overriding theme of … well, evil and unspeakable violence is disturbing. As it should be, I know. And then there’s the background story of Larsson’s politics and journalism career, which adds a whole other layer of complexity. I’m still trying to figure out how I feel about this book. 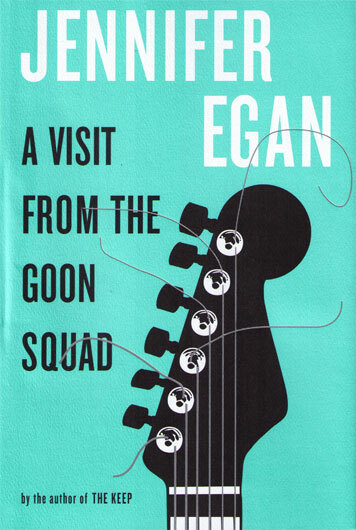 On the other hand, I know exactly how I feel about the darling of the post-post-modern or whatever crowd, Jennifer Egan’s “A Visit from the Goon Squad”: Bored. And confused. I just don’t get it. Am I supposed to care about these people? I keep picking it up and trying to read it because I know I should — it keeps getting fantastic reviews — but then after a few pages my attention wanders and I wonder if it’s time to feed the cats or water the plants or do something else more interesting. Like find another book. Or am I just not cool enough to appreciate “Goon Squad”? That seems more likely. This entry was posted in books, random thoughts and tagged bestsellers, book clubs, books, reading by Coffee with Cathy. Bookmark the permalink. Oh, no. Is the violence in the tatoo book very graphic? I’ll have a hard time reading it – I always want to cover my eyes when a movie has a graphic scene, and I want to do the same thing with a violent book. And oddly enough, it’s very difficult to read with your eyes covered! I read Dragon Tattoo before it became so popular. I practically inhaled it. What a story and what a storyteller. I was caught up from the very beginning right through to the last page. Then I went right out and got the Played with Fire and devoured it as well. I bought Hornet’s Nest the day it was published in the U.S. and oddly enough, I haven’t even picked it up. I am looking forward to reading it but not right now. Recently I’ve been doing some lighter reading. Interesting, entertaining, humorous, with good plots but not absorbing. I just read “The School of Essential Ingredients” and really enjoyed it. I know how much you like good food and good friends and I think you would like this one. Another good read is “The Teahouse on Mulberry Street.” Both are quite enjoyable. The most well written book I read this summer was “Cutting for Stone.” Beautiful phrasing. I loved it and will definitely read it again, just for the beauty of the words. Haven’t read Goon Squad and based on your statements, I’ll move it a bit further down the list.